Neckwear designer Cantucci once again found design inspiration in the animal kingdom. This time the designer wove a snakeskin-like design from finest silk. The palette of deep red, midnight blue, and black add just the right amount of contrast. 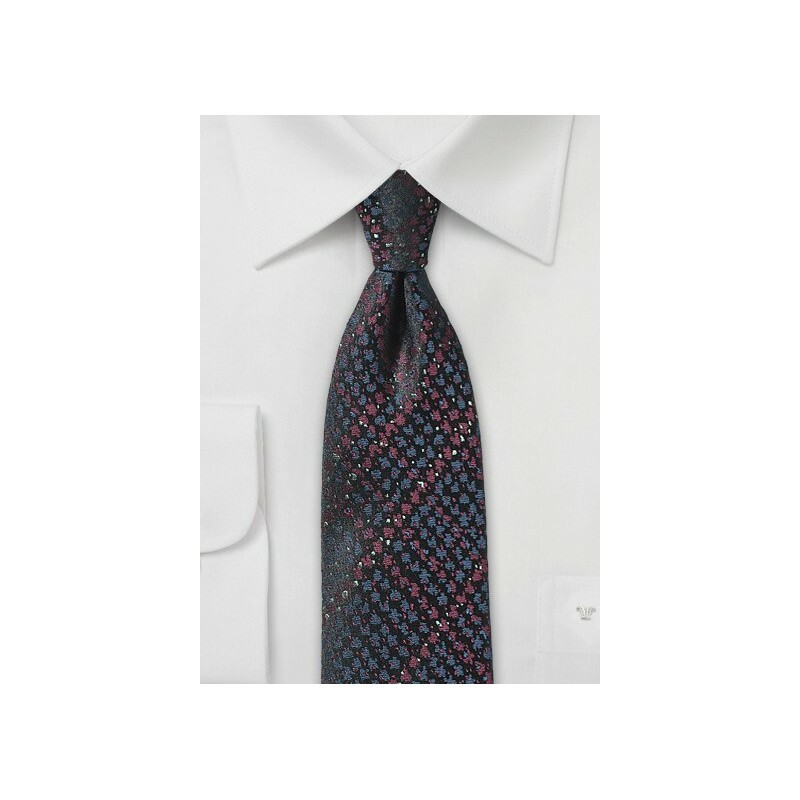 Pair this tie with your black fitted button ups for best results. Made by hand from fabric woven in Como, Italy. 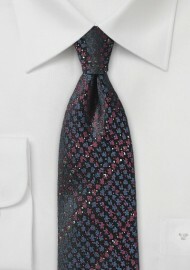 100% Italian Silk | Length: 58", Width: 2.75"